Hinduism is not considered a religion but a way of life, because religion guides every step of a devout Hindu who is drawn to it and deeply influences his thinking, behavior and attitude towards himself, others and the world. It is difficult to separate the faith of a devout Hindu from his lifestyle or way of living. Both are inseparable. Both complement each other. Both exist because of each other, and both would lose their meaning and significance without the other. For him, his faith is the center of living and living is the center of his faith. A devout Hindu, who has reached the peak of his religiosity and spirituality, is inseparable from his thoughts of God. He remains uppermost in his consciousness and guides his life as his very Self. As the Bhagavadgita suggests, the highest yoga is that state in which the mind of a devotee is fully immersed in the thoughts of God without any duality or distraction. That state is the culmination of the highest and the purest devotion as a way of life in which a devotee experiences no distinction between him and God and no purpose other than to be in the company of God. In the following article we will try to understand the belief system which is behind this beautiful and noble concept and why Hindus consider their faith a way of life rather than a religion. Faith defines a devotee’s way of life in Hinduism and serves as the foundation of his character and behavior. It is his inseparable source of knowledge, inspiration, guidance, philosophy and righteous conduct. However modern or advanced he may be and whether he is conversant with the scriptures or not, its sacred influence is always present in his life as an undercurrent, deeply rooted in his consciousness and firmly entrenched in his being. So profound is its impact that even if he chooses to follow another religion, he cannot completely shake off his Hinduness. 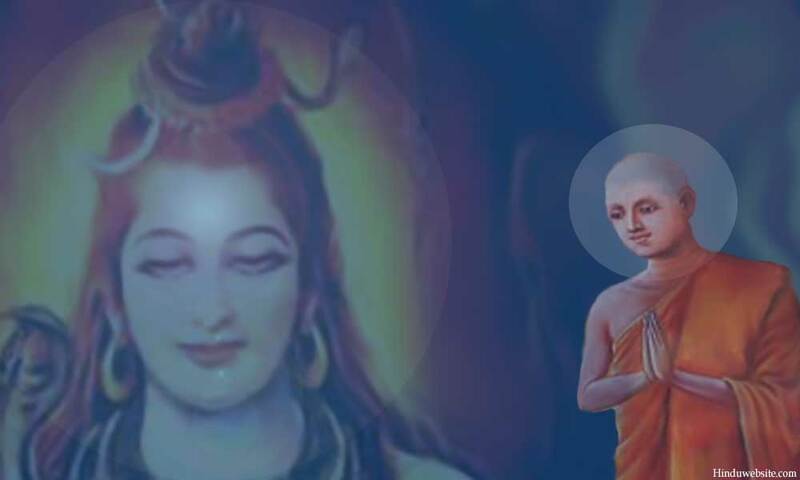 Since Hinduism firmly believes in the reincarnation of souls, the faith of a Hindu does not begin with his birth but as a continuation of his past lives and as the consequence of his karma. He believes that his religiosity had already been shaped by his past lives by the time he was born and he arrived into this world, carrying with him the legacy of his religious past along with all his deeply rooted religious beliefs to begin his journey without losing the karmic merits of his past. As the Bhagavadgita declares, even if he had failed and faltered on the path of liberation in his past life, there would be no loss for him. He would be born in his next birth with the merit which he had accumulated so that he could begin his journey afresh from where he had left. The same scripture also declares that a person is according to his faith. His life and destiny depend upon it. If his faith is influenced by sattva, he will strive for liberation. If it is influenced by Tamas he will worship lower gods and remain ignorant. Thus, in Hinduism, a person’s faith is not separate from him. It is shaped by the modes (gunas) of Nature, which are in turn shaped by it. It influences a devotee’s way of life, his character, living and destiny. Faith (shraddah) in Hinduism means not only simple faith in God or a divinity but also inclination, concentration, respect and interest. For a Hindu, who is deeply devoted to God and to the idea of liberation, God does not exist in temples and sacred places only. Going to the temples is a good practice, but it is not the only way by which a devotee worships God. He does not look for God in particular places only such as a temple, an image or a sacred place but everywhere. He remembers and reveres God everywhere in all things he touches and feels. He knows that God can be approached worshipped in diverse ways, not only by performing ritual and sacrificial ceremonies (yajnas) but also by the very act of living and using life as an opportunity to serve God, family, society and Dharma and pay off all the karmic debts. Since he knows that God is all, he does not judge anyone or any path. Our scriptures affirm that we are divine. God lives in us as our very selves. Although our bodies are filled with the impurities of Nature, they still house the divinities and represent the creation of God at the microcosmic level. Every aspect of human personality is infused with Divine presence. Hidden in the illusion of life and its numerous faces is God's golden and immortal presence. If we are intelligent and attentive enough, with discernment and reverence we can perceive the foot prints of God in the mundane aspects of our lives and in our routine experiences. With perseverance we can make the very act of living a form of worship, a means to connect to God and a way to purify and ennoble our minds and bodies. By stabilizing our minds in the thoughts of God, we can create in this very life and in our mortal bodies the ideal conditions for our spiritual growth and self-realization. The idea of Dharma is central to our religious practice. Dharma means a set of moral and religious duties and obligations which are entrusted to humans upon earth by God for the order and regularity of the world. As the representatives of God, we are expected to perform them and do our part in God’s creation. We must use Him as our role model to regulate our lives and stay free from evil influences and sinful karma. Thus, for a devout Hindu life is an opportunity to express his allegiance to God and serve Him well by upholding His Dharma without expectations. The Hindu way of life facilitates this process. It encourages God’s devotees to devote their lives in the service of God and as the means to self-transformation and final liberation. Every activity that we perform while living and every aspect of life that we know and deal with becomes means to realize God. In this approach there is a very little difference between living and worshipping. Life is but divine and sacred. The Divine does not exist in the heavens only, separate and distinct from us. He is right here, amidst us and within us as a witness to all that we experience. He is in fact you, when you realize who you are. He is your hidden Self, you transcendental identity, and the truth of you in another dimension. Amidst the dualities of our lives, our main task is to find a way to bridge the gulf and experience oneness with Him. Mortal life is an opportunity to receive into ourselves the illuminating and enlightening wisdom of the scriptures and experience the overwhelming power of God deep within our own consciousness. It is to witness the wonders of creation by becoming an atom (anava) within your own universal dimension. Performing one’s duties with a sense of detachment and as an offering to God, and worshipping God in a temple or during a ritual, are conceptually the same. Self-realization can be achieved not only by renouncing the world and performing tapas, but also by living amidst society, with a sense of detachment, untouched by the corruption of life, like a lotus leaf in a pond. If we live with a divine sense of responsibility, every act that we perform in our lives can lead us into the mysteries of divine life and into highest transcendental state of light and delight. The Hindu way of life allows a devotee to render service to God through his profession also. Through karma yoga, by performing selfless actions as an offering to God, a devotee can use his very vocation or profession as an opportunity to serve God and uphold His Dharma. Traditionally, Hindu religious art developed as an expression of devotion only. All art forms of Hinduism are various ways in which an artist can express his deep devotion to God. For a traditional artist, the practice of his art is a form of divine worship, the best and the sublime way to fill his heart with devotion and his mind with the thoughts of God. Sculpting an image of God is a form of active meditation. Participating in a dance, movie or theater play as a performer is to step into the role of a deity or into one of His innumerable forms and experience oneness. His devotion to God flows out of him as his creative expression. His art flourishes to the extent he is devoted to God and overcomes his duality and separation from Him. The present life is but a continuation of the previous. It is another opportunity to continue our experiments with truth, correct our past mistakes, cleanse our souls and make ourselves fit for liberation. As creators of our own lives and destinies, we can mold our lives according to the highest values as enshrined in our scriptures and make them the vehicles for our liberation. This is the philosophy which is behind the concept of Hinduism as a way of life. For a typical Hindu devotee, religion is a way of life and the means to self-purification and inner evolution. For him living is worship and worshipping is central to living. In his worldview both are inseparable.